If you want the most bang for your buck when it comes to back-to-school shopping, save the date and get ready to purchase supplies July 20-22. 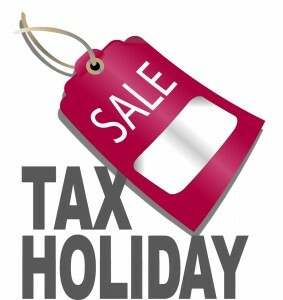 It’s the state’s 13th annual sales tax holiday for school-related items. From 12:01 a.m. Friday, July 20, until midnight, Sunday, July 23, the state waives its four-percent sales tax on school-related supplies and clothing. Shoppers can avoid paying taxes on clothing worth less than $100, including school uniforms, shoes, shocks or diapers. Accessories, protective equipment and sports gear cannot be sold tax-free. Computers can be sold tax-free if the individual parts are sold as a package worth less than $750. School supplies worth less than $50 including ink and paper are tax-free. School books worth less than $30 are eligible for the exemption. More than 300 cities and counties throughout Alabama have agreed to waive their local taxes as well, for a savings of up to 10 percent in some areas. Check the 2018 participating cities and counties list to determine if your local communities are participating. 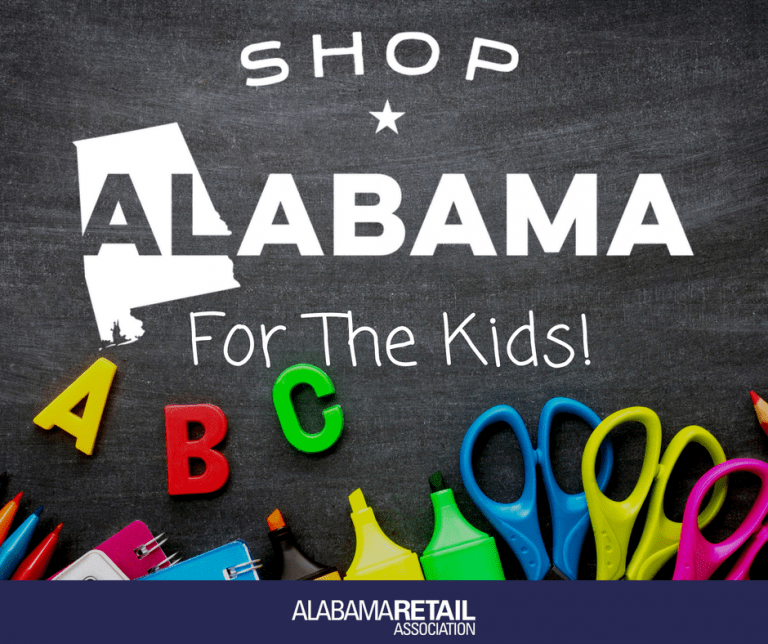 In addition to encouraging shoppers to buy from local retailers by promoting the use of their hashtag #ShopAlabama, the Alabama Retail Association will also promote #ShopAlabamaForTheKids, a new extension of their campaign. There, they will ask shoppers to consider picking up an extra school supply or two to donate to local school children in need. They have partnered with nonprofit organizations to promote and support school supply drives throughout the state. Drop off donated school supplies at HandsOn River Region at 101 Coliseum Boulevard, Montgomery, AL, Monday through Thursday, 8:30 a.m. – 3:30 p.m.
Drop off donated school supplies at the Eastern Shore Chamber of Commerce at 327 Fairhope Ave., Fairehope, AL, or Baldwin County United Way at 700 N McKenzie Street, Foley, AL.You can also support the Eastern Shore Chamber of Commerce Young Professionals and United Way of Baldwin County Young Leaders at their “Pencils & Glue for Bingo & Brew”. The event is a school supply fundraiser for the Rotary Youth Club and Ruff Wilson Youth Center. It is Thursday, July 26, from 5:30 – 8 p.m. at Fairhope Brewing Company. Admission is a $10 donation or a bag of school supplies. Drop off supplies for the Dothan Education Foundation at Wiregrass Commons Mall (Mall Office) or Army Aviation Federal Credit Union from July 19 until July 30.